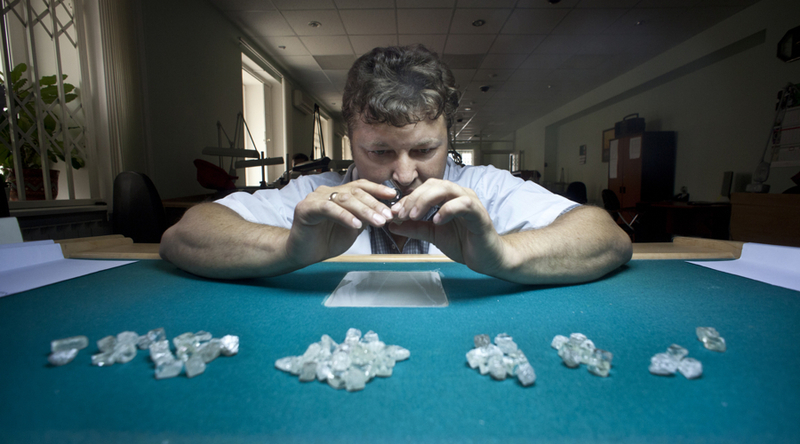 Russia’s Alrosa (MCX:ALRS), the world's top diamond producer by output in carats, said Friday its reserves have gone up by 43.6 million to 1.108 billion carats, thanks to exploration carried out last year. The bulk of the exploration work was conducted in the far eastern region of Yakutia, said the miner. The company also identified major exploration fields in Angola, Botswana and Zimbabwe. The company added that its geologists carried out exploration at Verkhne-Munskoe deposit, Zarya pipe and deep layers of Internatsionalnaya pipe. Geologic exploration was completed on Pionerskaya and Pomorskaya pipes in the Arkhangelsk region. Alrosa highlighted the completion of the process of calculating reserves of its Mayskoe deposit, and the Dalnyaya, Nyurbinskaya and Botuobinskaya pipes. Last year, Alrosa also proceeded with prospecting and geologic exploration in Africa in the scope of its joint ventures, identifying major fields in Angola, Botswana and Zimbabwe.